The attack allow to expose new and also chat conversations, messages, answerphone messages and user personal information. Currently Skype is investigating on the event and has suspended the password reset procedure that appears to be compromised. Currently Skype have blocked the password reset page, the flaws is related to the possibility to signing up for a new Skype account using the email address of another registered user because it is not necessary to access to the victim’s email account to provide confirmation of the operations. 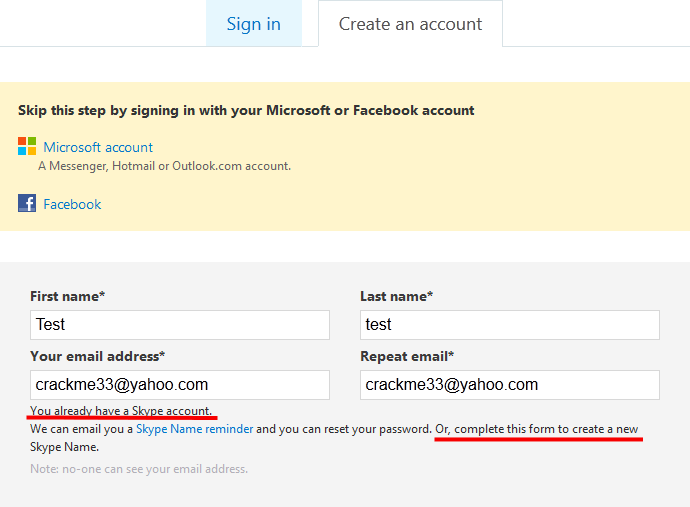 The creation of a new account is wrongly managed by Skype that doesn’t prevent it, but it limit its action to generate a warning that inform the user that the email address provided is already associated with another account. At this point the attacker simply ask for a password reset token and Skype will send it to his email, this allows the hacker to obtain the control of user’s original account. 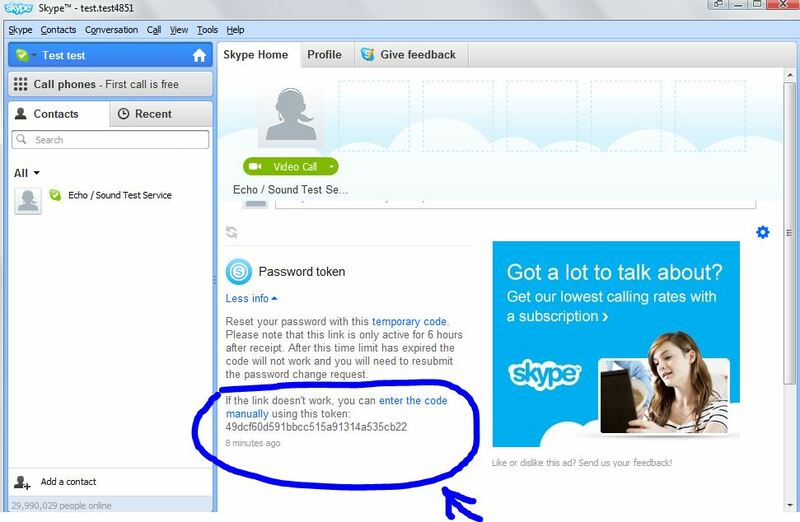 The password change is requested by the attacker using the victims’s username from the bogus account created, the hijacker can access the resulting reset token using the Skype app itself with the second fake log-in locking out the account’s owner and access their details. Similar vulnerabilities are very dangerous and must be fixed as soon as possible, their exploit exposes to serious risks such as the possibility to hijack an accont for cyber espionage purpose. Don’t forget that in the past the possibility to spy on Skype communications has been debated for a long, different malware were developed to steal info e to intercept communication on client side. the popularity of Skype makes it a truly privileged target.